COC Fashion School is the training institute for the brand COLOURS OF C.U.E that was birthed after numerous requests from bespoke clients, admirers of our works, partners, stylists and much more. It is an institute guaranteed to transform you from zero to hero expertise in fashion. Welcome to COLOURS OF C.U.E Fashion Institute where we transform your passion into professionalism. 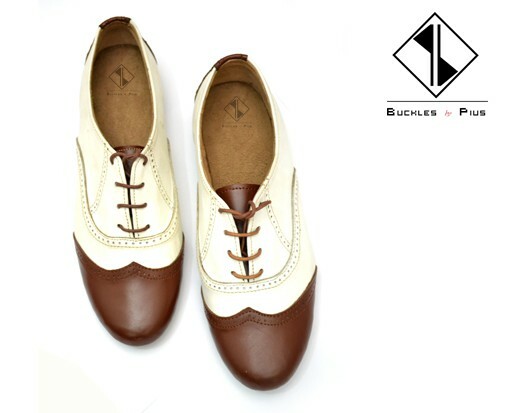 We believe our students ought to be able to function both in the glamorous western world of fashion as well as the real limited world in Nigeria making them an asset in fashion wherever they find themselves. Our Facility: Our training facility is very exclusive, highly functional, so comfortable with a homely feel and flexible enough to suit every student’s need. . We ensure that our classes are never clustered or too crowded per session as we believe in attending to every student like he or she is the only one in the world. We take pride in knowing in detail, the distinct personalities and training needs of every single student. 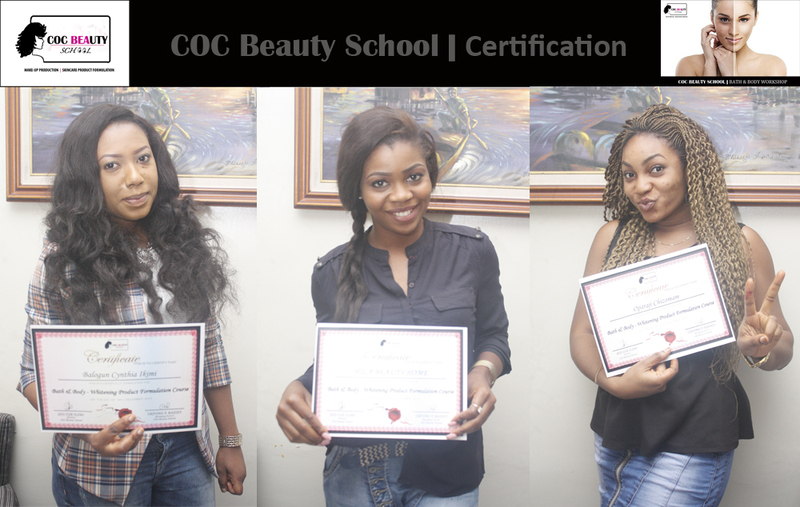 Certification: Students who Enroll for our programmes are duely certified after the completion of their project & programme outline. Opportunities: while training in COC Fashion School, students get the opportunity to accompany the brand for fashion shows, exhibitions, interviews and much more exposing every student to the glamourous part the fashion industry. . . .For more details on our curriculum, duration and prices, do visit the COURSES page. . .
I’d really like to participate in this prog but I’m in Port Harcourt. So do you have a centre here? I like everything about you, I think am interesting in learning in your institute. thank you. Hello Emlyn, no we don’t provide accommodation for students. However, we are surrounded by over four standard Hotels and Short Lets that you could stay if you choose to. Pls I will like if am posted anytime u pple ve a programme in port harcourt. Tnx. Good morning and happy new year. I sent two mail between yester-morning and now inquiring about how to pay and participate in the February short fashion course scheduled from 1st -29th. I’m yet to get a reply and the time is almost up. Is the registeration done already? 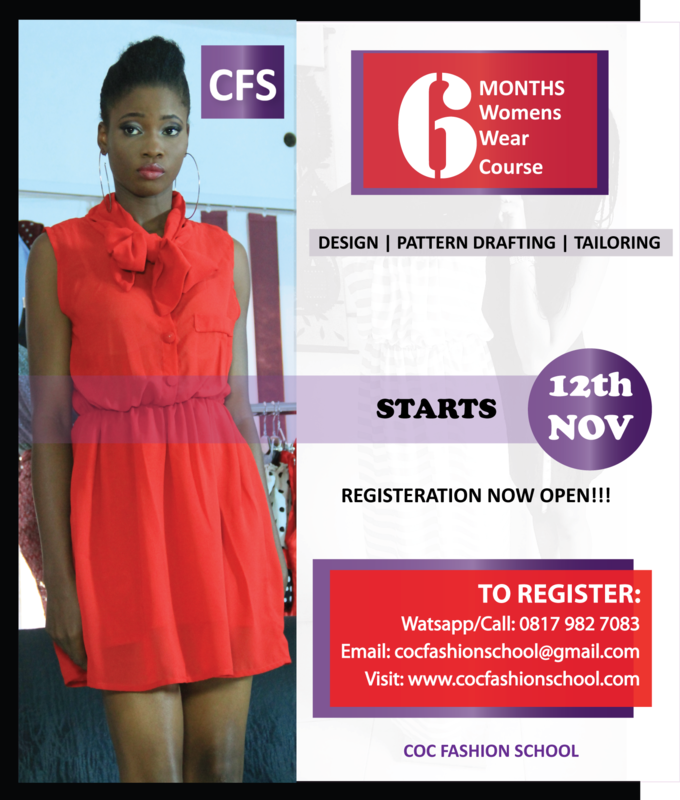 Hello COCFashionschool, I am currently setting up a co-working space for fashion designers and creative people, so if your graduates don’t need to bear the burden of buying sewing equipments and other accessories, our space provide all that and more so they should avail themselves of the opportunity. Okay. . Our study programs often go with equipment so all our graduates are quite equipped with sewing machines and more. However we’ll run it by whoever we believe may need it. Thank you for reaching out. 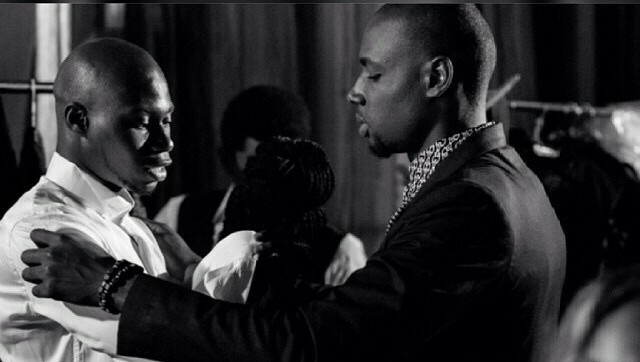 Hi, please is coc in port harcourt now…. I want to enroll.